Winter is finally ending, meaning the time everyone is waiting for; maple sugar time; begins! This gourmet and festive tradition is sometimes associated with excess. At DOSE, we offer you a more reasonable way to celebrate the arrival of Spring without forgetting to treat yourself: discovering our delicious juices Kick and Basil! 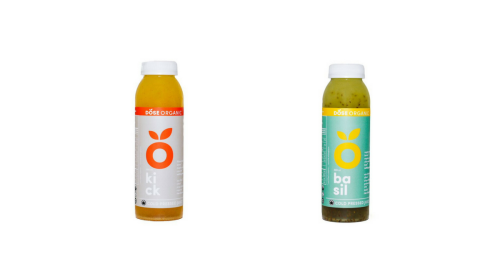 We chose to add a small amount of maple syrup and water to these juices because in addition to giving them this pleasant taste, these ingredients have many benefits. Maple water and syrup, what’s the difference? Maple water is the 100% pure clear and nourishing sap. It contains only 2 to 3% of sugar and flows naturally from the trees, when the night frosts are followed by days of thaw, sign that Spring is finally coming… The sap is then sterilized to be preserved and consumed as a refreshing drink. As for the concentrated syrup, it is made by heating the sap to evaporate much of the water. It takes about 40 liters of water to get a liter of syrup! Maple syrup is a natural sweetener that contains no additives or dyes with very interesting organoleptic and nutritional properties. Maple syrup is mainly composed of carbohydrates (sucrose, glucose and fructose) which makes it a good source of energy. Glucose and fructose are two simple sugars that are easily assimilated because they do not need any digestion. 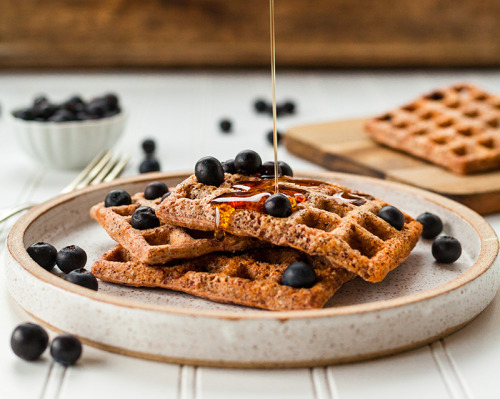 Athletes will be happy to learn that maple syrup is a good ally to boost energy before, during and after a workout because carbohydrates are quickly brought to muscles. All of this while being one of the least caloric sweetening products; 177 calories for 50 ml of syrup and 40 calories for 500 ml of maple water. 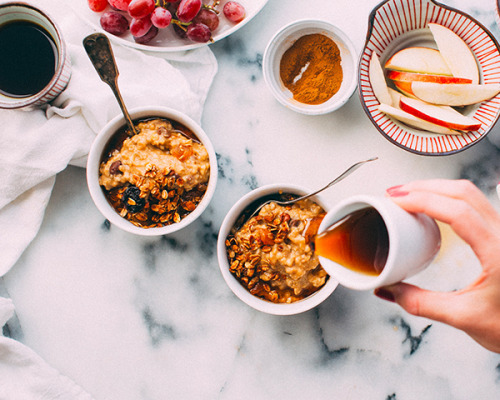 In addition of containing fewer calories than honey, maple syrup provides essential minerals such as manganese, calcium, potassium, iron, zinc, magnesium that are necessary for the proper functioning of our bodies. Did you know that a serving of maple water contains as much manganese as a cup of kale? This mineral is necessary for the proper functioning of several enzymes and helps maintaining bone health and cognitive function. Maple water and syrup are full of polyphenols; organic molecules known for their antioxidant properties. These polyphenols are more abundant in maple syrup than in other sweetening products: you can find 400 times more polyphenols in maple syrup than in agave syrup. Maple syrup has a lower glycemic index than other sweeteners; meaning the glucose is diffused gradually in the body thus avoiding the drops of energy and controlling the feeling of hunger. Ideal when doing exercise or a cleanse! KICK is the juice that will wake you. A subtle blend of the sweet taste of maple and the spicy taste of cayenne pepper, it will boost your immune system and kick your metabolism. BASIL is a reinvented lemonade. Energetic and nutritious, it combines the hydrating benefits of maple water with the refreshing taste of basil and the many qualities of chia.